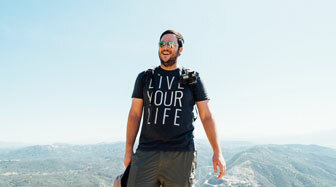 Escondido Falls is one of the best hikes along the entire coast of Malibu. 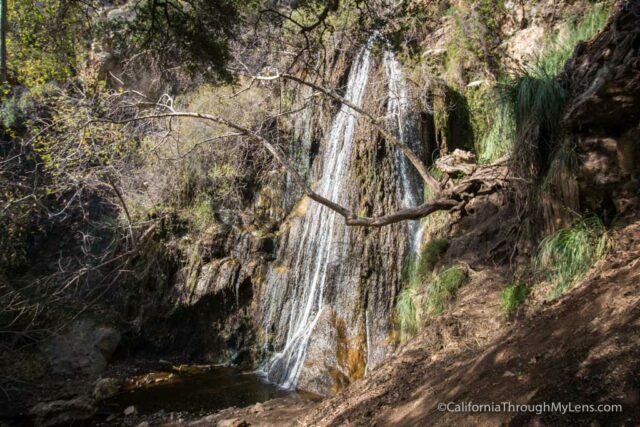 The hike itself is a relatively easy 4 miles round trip, but it leads you to one of the best waterfalls in Southern California. 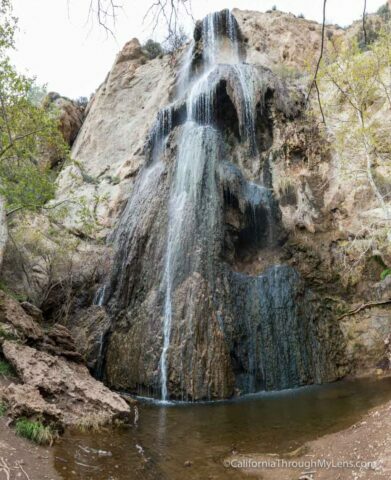 The waterfall has three tiers, one that is easy to access and two more that should only be attempted with caution. 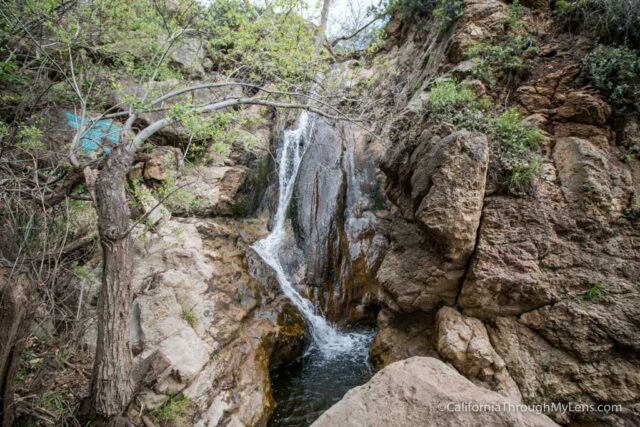 If you make it to the top waterfall, you will be at one of my favorite spots in Southern California though; here is all the information so you can do it yourself. Parking for this hike is in the small lot on Winding Road off Pacific Coast Highway or simply on Highway 1 itself if the lot is full, as it was for us when we journeyed there. 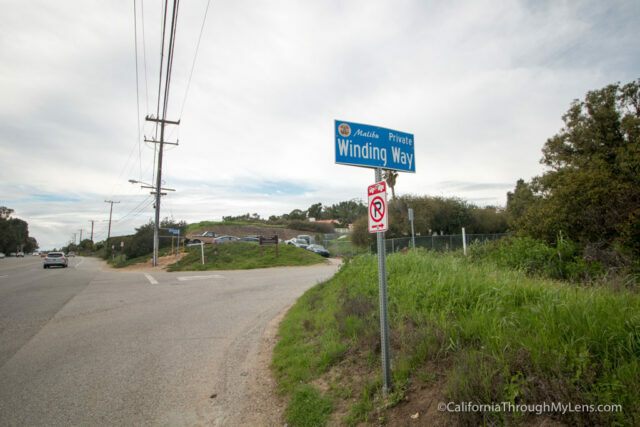 I recommend putting “Visitor Parking for Escondido Canyon and Falls” into your Google Maps, which should take you to the parking lot on the corner of Winding Road and PCH. From here you simply start walking up the road. 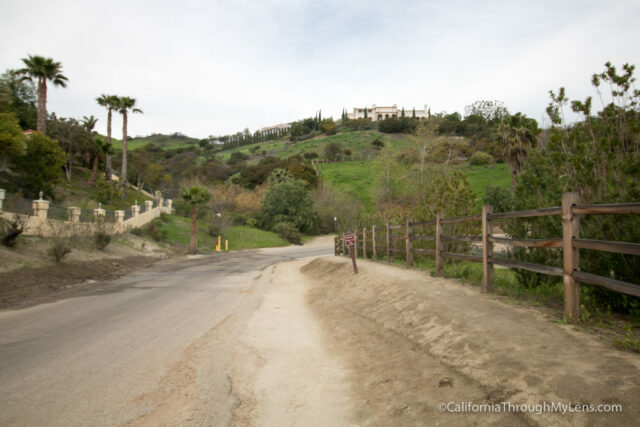 The first mile of the trail is along the paved road that takes you through the Malibu hills. Unfortunately, you can’t park closer to the actual trail so you have to walk along the road like this. It is pretty crazy to see all of the mansions they have back here though. 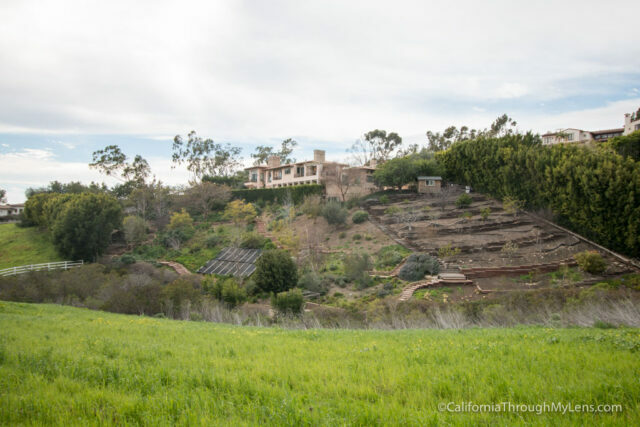 There are houses with huge pools, tennis courts, horses and even a batting cage, all with spectacular views of the ocean just outside their window. 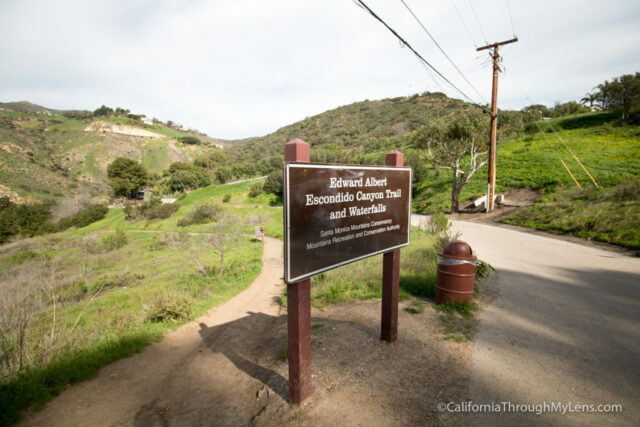 Once you reach the cul de sac type end of the road, you will continue a little further till you see a sign that marks the start of the actual trail. 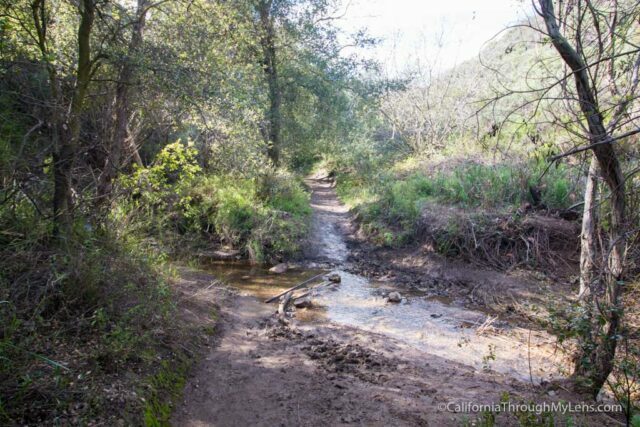 From here you will walk through about a mile of foliage, small river crossings, and beautiful trees. 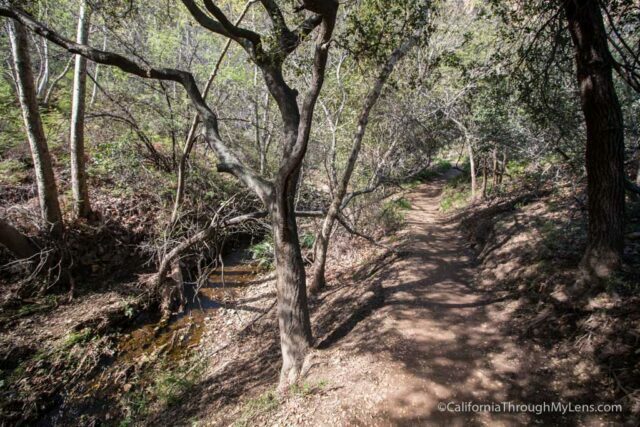 It is a nice leisurely hike that has shade almost the entire way. I was a fan of this part of the hike as it is fun to see all of these natural elements while being so close to the city. 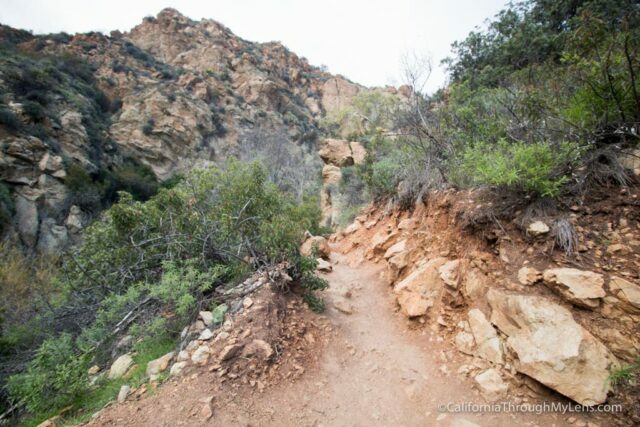 I do imagine this trail being more intense after it rains though as the river crossings would be worse and the trail itself would be muddy. 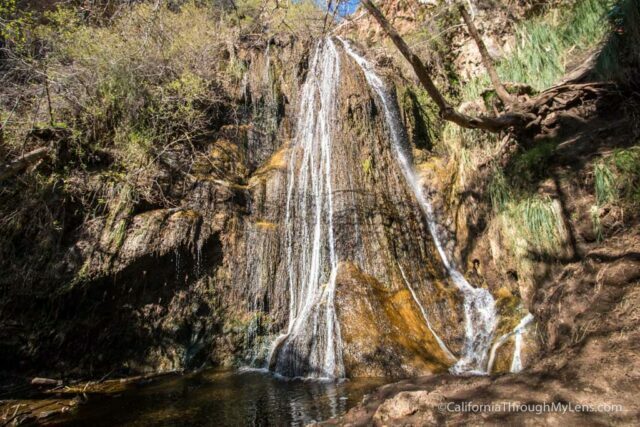 Just enjoy the beautiful walk, and after about a mile you make it to the first waterfall. If all you do is make it to the first falls, the hike is still worth it. This waterfall is amazing when there is a good flow as the water cascades down in multiple sections. It is like a small version of the third falls and it’s pretty spectacular. Do note that I have been in the summer when it was dried up and it was much less impressive with stagnant water at the base. 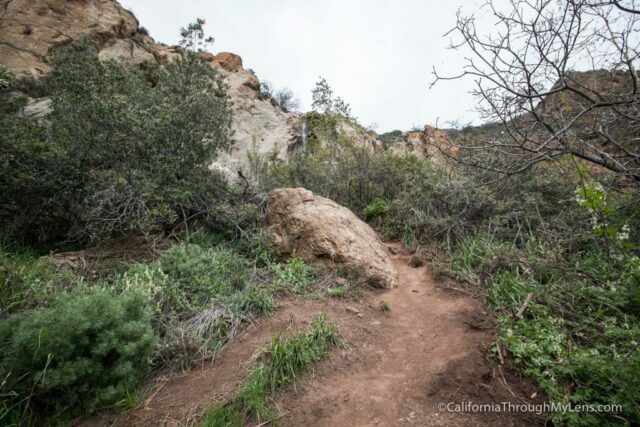 From here you will want to find the steep trail to the right if you are going to continue. I will note again that you need to BE CAREFUL if you do. 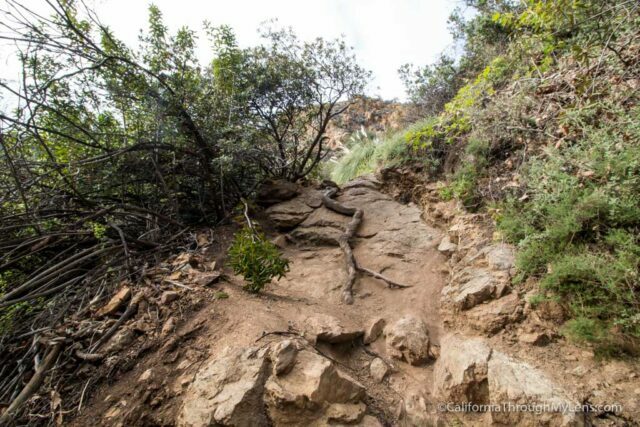 Many people are not prepared for this part of the hike, and while it is not that bad, you need to take your time as it is slippery. You will also be crossing some narrow ledges, and I saw all sorts of people do it while I was there, but you just don’t want to get in over your head. That being said, if you can make it, the trail will reward you. After most of the sketchy parts, you will reach the second waterfall. This is the least impressive of the three as it is only about 25 feet tall. It is an excellent place to stop and catch your breath though, and it was flowing pretty good the last time I was there. Continue scrambling over more rocks, and you will reach the third falls. The third falls is the real gem here. 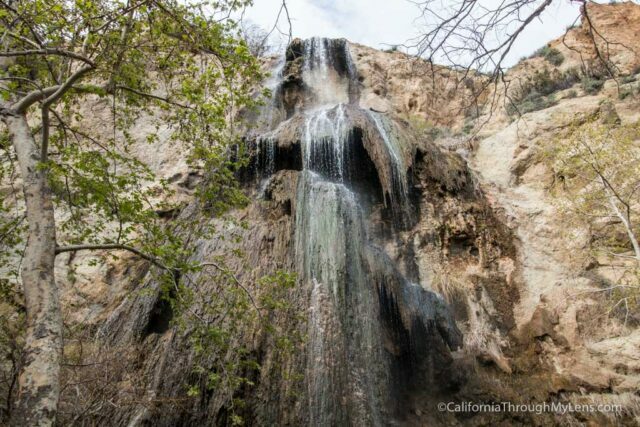 It is truly one of the best waterfalls in Southern California. 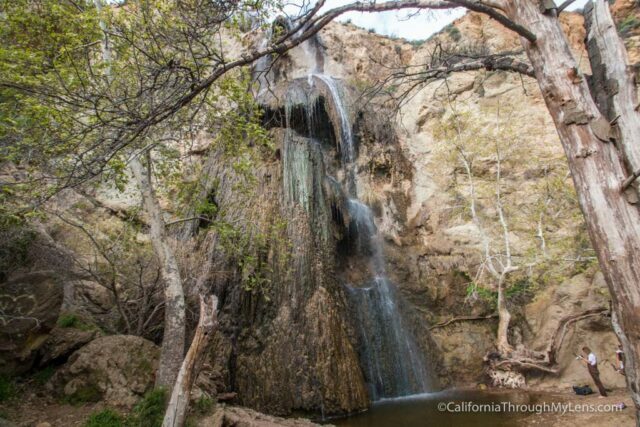 Not only is it about 150 feet high, but it has a beautiful amount of plant life that lives on the falls. 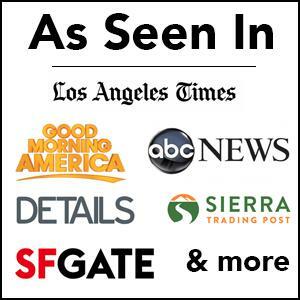 This alone is something that has to be experienced before you can believe it. The water cascades over the moss and foliage, trickling down the mountainside in a breathtaking way. You will need a wide angle lens to capture this waterfall as it looks a lot smaller in pictures than it is in real life. For example, the cave-like section on the right side is probably 15-20 feet tall itself. After taking it all in, you will want to head back the way you came. Again, while heading down be careful as the slippery dirt is worse on the way down. 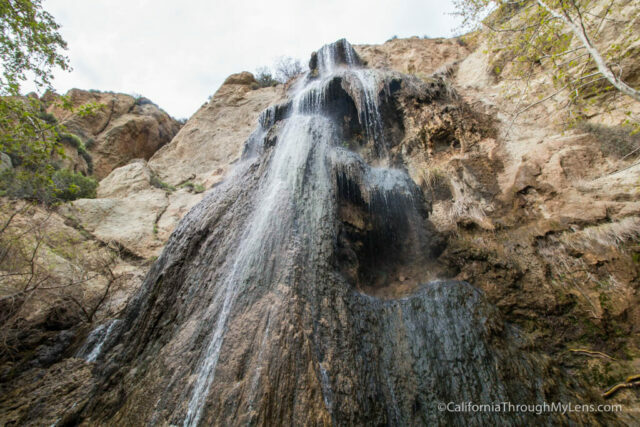 The adrenaline you have from seeing such an awesome SoCal waterfall should help you though. Here is a video I made of my last hike to the falls. Let me know if you have been in the comments and what you thought of this spot. Also, if you want to see more waterfalls, check out this post.